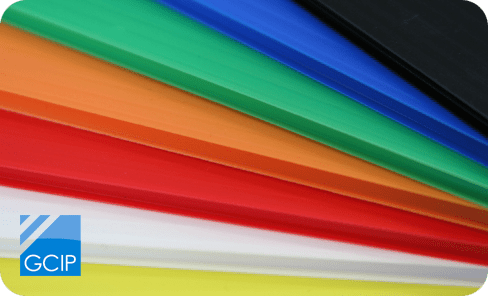 Our corrugated PP sheet, a premium equivalent to Correx sheet, is an extruded twin-walled sheet made from polypropylene and offers cost-effective solutions for a wide variety of applications. Think cardboard sheet, but in durable plastic! We stock 2440mm x 1220mm sheets (standard 8′ x 4′) in 4mm, 6mm, 8mm, and 10mm thick – in a selection of colours.